In recent weeks, Southern Bancorp’s work has been featured in national publications, including the Christian Science Monitor, which tackles the issue of payday lending and our work to develop payday loan alternatives; American Banker, in which Southern joins other CDFI leaders supporting regulatory relief for community development banks; and a report from the New Economy Working Group that focuses on the need to move from a Wall Street-based banking system to one that focuses on Main Street and accountability to local communities. We’re proud to share these stories of our ongoing efforts to create change through economic opportunity in rural and underserved communities. I hope you’ll take the time to read more about our work and reach out if you’d like to join us in helping families and communities create stronger financial futures. Emboldened by supportive comments from presidential hopeful Hillary Clinton, community development banks are asking regulators for more leniency in areas such as disclosure fees and Bank Secrecy Act enforcement. Link to story to read more. In 2008, Wall Street plunged the U.S. economy into the worst crisis since the Great Depression. 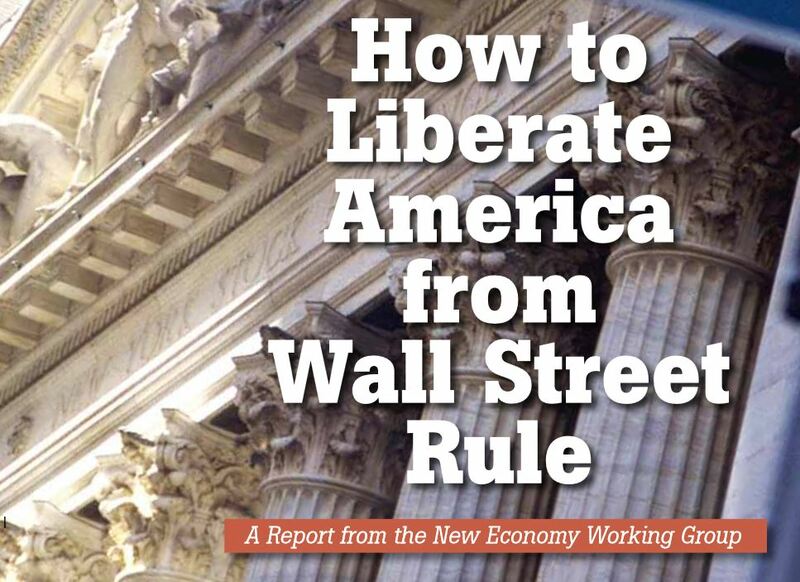 Wall Street received a generous public bailout and quickly recovered. Main Street continues to languish. Politicians and pundits rarely inquire into the reasons for the disparity. Doing so would expose the reality that the United States is ruled as a plutocracy, not a democracy, and would focus citizen anger on the structure of the institutional system that gives Wall Street bankers their power. Link to the story to read more.